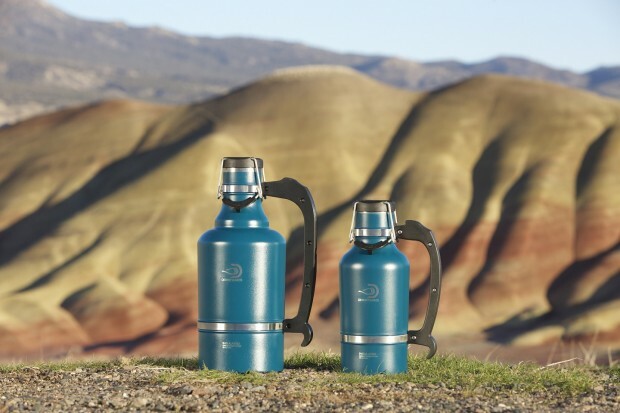 In 2013, Bend, Oregon-based DrinkTanks created a 64 oz. personal growler. It had all the bells and whistles for containing your favorite beer/beverage: 18/8 stainless steel construction, BPA-freedom, and double-wall vacuum sealed insulation that keeps beverages cold for 24 hours and hot for 12. With twice the capacity of their original vessel, DrinkTanks introduces their 124 oz. super-growler – called the Juggernaut. Yeah, we can’t believe it, either. Handmade in Oregon of 18/8 food-grade stainless steel – also perfect for home-brewing beer and kombucha – the Juggernaut is also double wall-insulated to prevent sweating and with a dual-bail cap, your beer’s going to last for the long haul in this thing. You can order it in a rainbow of colors; there are also two special Physical Vapor Deposition copper-coated finishes (or PVD-coated), meaning it pretty much lasts for life. 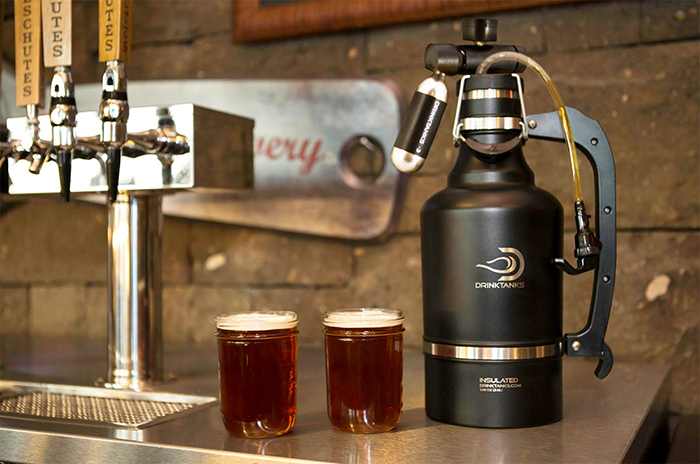 And if you need more from what’s deemed the world’s largest growler, there’s the Kegulator, an auto-regulating keg cap powered by a CO2 cartridge, that fits both the 64 oz Classic growler and Juggernaut. Carbonation control at your fingertips, in your own personal keg. DrinkTanks is currently offering the Juggernaut and Kegulator right now on Kickstarter, and with almost three weeks left, let’s just say they’re well past the point of exceeding their expectations. We still can’t believe our eyes.